Dimensions: Height 19", Round Base 3"
We produce busts of Greek and Roman style used as decorative sculptures for interiors. Hand-carved statues of the classical tradition representing ancient historical figures that only sculpture could bring to modern times, impressing their image in time. In our laboratory, we carve stone busts, and Greek and Roman classical style statues, customizable and manufactured according to customer specifications. 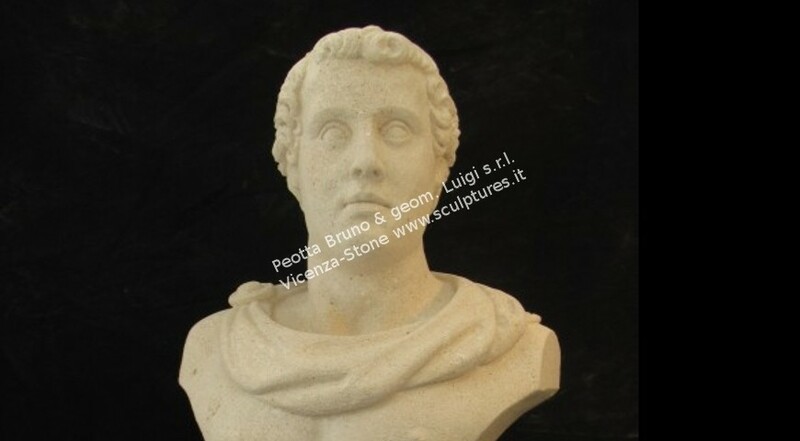 Placed on table top or even on bases and columns carved ad-hoc, our busts and torsos in Vicenza stone give a noble and classic style to the environment.